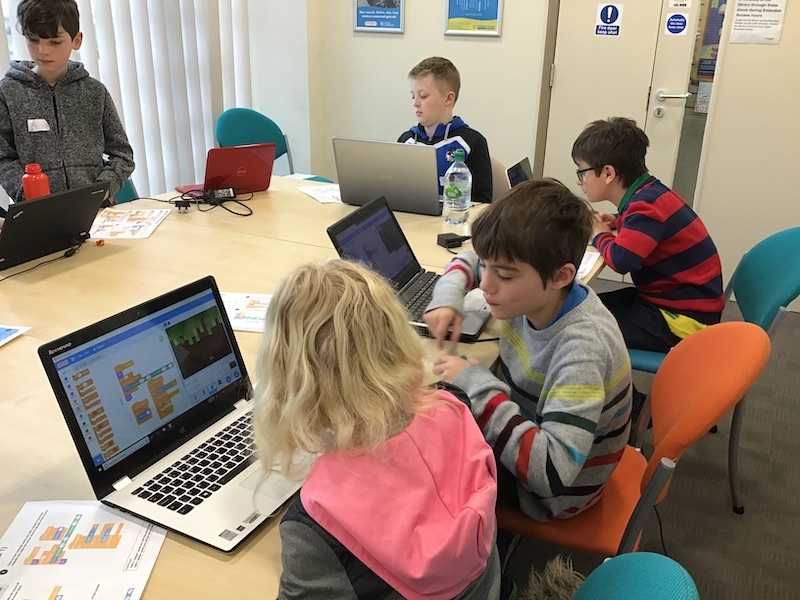 I was delighted to be given the opportunity to run two coding workshops for primary school children at Portishead library at the start of the Easter break. 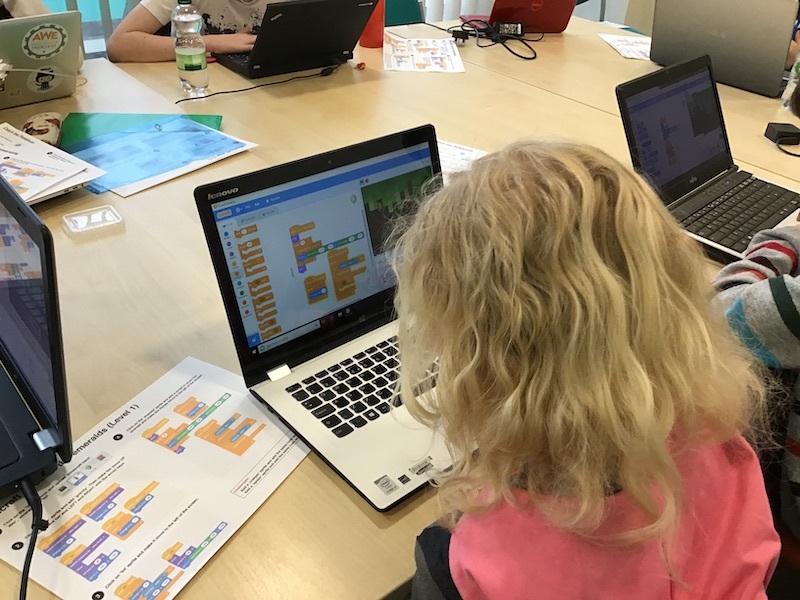 I planned the workshops – ‘Make a Minecraft Game’ and ‘Make a Pokémon game’ in Scratch – to challenge the children. 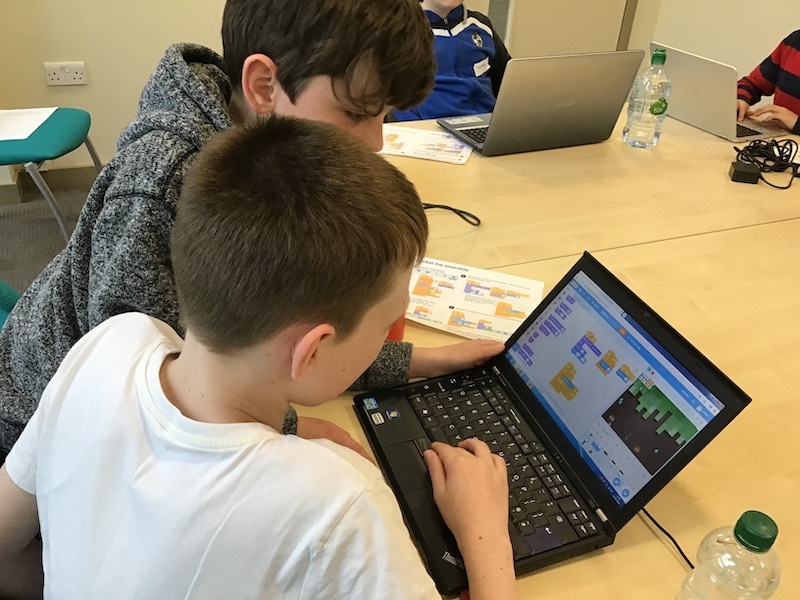 I created two levels of difficulty, which meant the more advanced coders were able to create a scrollable platform game. I only wished we had had a bit more time to go through some more coding challenges. Thank you to all the staff at Portishead library staff for their support. We will be back soon. If you would like a workshop at your school in Portishead – please do get in touch.